Local search is all around us. There are seven billion people on this planet, and one in every five own a smartphone. It’s safe to say the world is now connected by our collective fingertips, but as a local business, how can you cut through the clutter and reach people? I previously posted a case study in how to boost website traffic organically, with no advertising whatsoever. But how do you reach the depth of that audience and get more specific? The answer lies in local search. Gone are the days of daily newsletters and paper boys. We now live in an era where people receive their information from the phones they hold in their pocket. One of the best ways to get there, which we’ll talk about in this post, is optimizing your business for local search. 1 Where is Local Search Today? 5 Why is it critical to get your info listed in Google My Business? 10 So, how do you differentiate your local business from your competitors? 15 Curious where you stand? Where is Local Search Today? Imagine yourself on the way back home from work with a busy night ahead of you. It’s already late. You’re crossing the street a few blocks away from your train station and you remember you have to bring a dessert to that dinner party you were invited to. You don’t have the time to go all the way home and then drive to a dessert store before you get there. You need a solution, fast. Where are you going to go? If you’re like anyone else with a smartphone, you’re going to whip that out and ask Google. “Dessert shop [location]” is mostly likely what you’ll search. This is just one specific example, but I wanted to paint an everyday picture of how local search exists as a part of our daily lives. Where are people going to turn when they need something fast? Most likely, a search engine. In fact, research conducted in 2014 by Google shows that four out of five consumers turn to search engines when looking for a local product or service before making a purchase. Local SEO provides results that are relevant to a searcher based on their current location. With local search comes local intent. When looking for food, entertainment, or shopping, people generally want something local. Regardless of whether or not they have a specific business in mind, they are looking for a solution to their specific problem or need, and the closer the better. Who wants to travel 50 miles to get a pound cake? No one. If you’re not recognized by search engines, you’re not optimizing your business to the best of your abilities. As a business, you want to receive as much foot traffic as possible. In a 2014 study, 50% of consumers will visit a store within a day of local search on their smartphones. Local web traffic BECOMES foot traffic. Any business can and should take advantage of local search engine optimization, whether a national company, or a mom-and-pop store. You want to make your website more local-friendly, regardless of your goals. Local search today has come a long way since its inception. 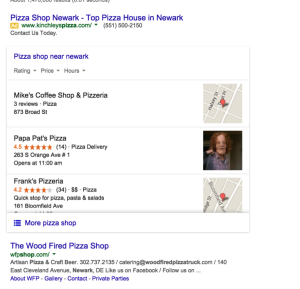 One of the biggest recent changes to the local search landscape occurred this past August, with the cutting of Google’s local 7 pack down to a 3 pack. The local 3-pack is the listing of three businesses attached to the map on a local search results page. What this means is that there is now much higher and stronger competition for that coveted real estate next to the map, as four out of the previously-listed 7 have been kicked out, and only the businesses with strong SEO practices in place will be able to occupy those spots. 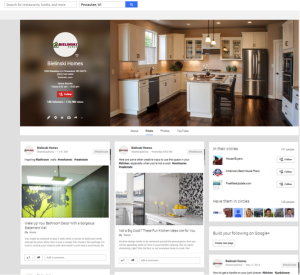 By cutting down on “clutter,” or additional listings, Google started to harp on a more “focused” user experience. This can directly imply that if you’re not top-ranked in local search, it’s like you don’t even exist. Along with the change in number from 7 to 3, Google has removed phone numbers, full addresses, and Google Plus links from the 3-pack results. Searchers now have to click through the result to find a business’ phone number or full address. Store hours, however, have been added to the 3-pack results as results will display opening or closing times depending on the time of the day. Pay Per Click, or PPC, incorporates the use of advertisements and ad copy to build your business’ online presence made relevant to users through industry specific keywords. One vital visibility tool for local search is Google Adwords. This is Google’s online software that allows a person to create ads that display on the search engine and its network of partner websites. When utilized correctly, this tool can help your business, regardless of what your service or product offered may be. PPC is a great tool to use if you want to get in front of people fast, through paid ads. However, if your business depends solely on PPC to get revenue, you’re gonna have a bad time. SEO takes more time than PPC, but it provides organic traffic (which statistically is the most relevant traffic) and long term stability, not to mention brand authority. This article reveals how you can get local search presence using social media and citations. Everything depends on the nature of your business, your target audience, and your budget. Google lets you target your audience geographically via its “geo-targeting tool,” so you can choose where you want the ad to appear. As a small pizza shop in Philadelphia, you’ll probably not want to contact an audience out in San Francisco. PPC has the ability to grow your local business, whether globally or locally. Having consistency with your name, address, and phone number (NAP) across your directories, is paramount for local search optimization. NAP consistency occurs when your organization’s information is correctly listed identically (with absolutely no modifications) throughout the web. As the mentions of your NAP individually appear over the web, search engine “robots” will cross-reference these mentions to determine validity. Details as small as listing your address as “111 Search Street, Philadelphia PA” in one location, and “111 Search St, Philadelphia, PA” can have a negative effect. By helping Google to establish a perception of uniform information as its bots crawl your business’ online information, you are helping Google display your business listings to the appropriate target audience. There are hundreds of companies out there with similar names (there are at least 5 different Pete’s Pizza’s in the Philadelphia area alone), so it’s your job to tell the crawler that you are different. 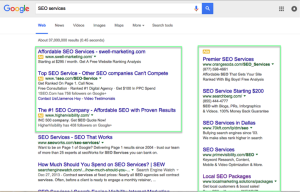 You don’t want to show Google two NAPs with even the slightest variation, or your ranking on the SERP will suffer. Google wants to give its users the best results for making a purchase or finding what they need. If Google has two addresses at hand for the same business, how will it know if the business is valid? If a business has a NAP listed identically in locations, such as directories, press releases, and social media, Google will deem them a more valid business in comparison to a business with fewer or more inconsistent citations. 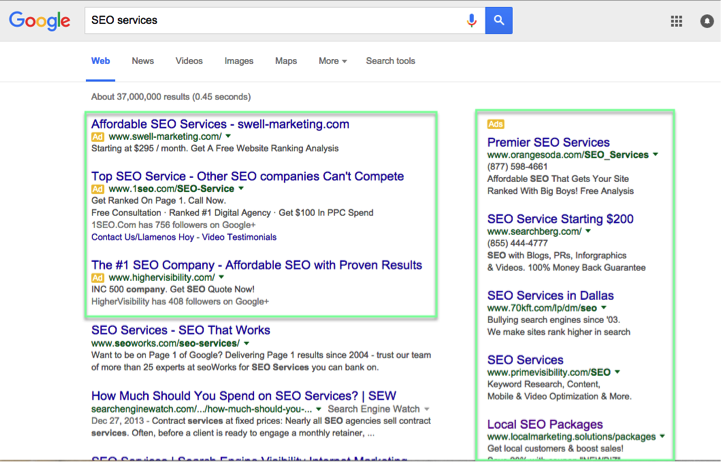 By increasing your natural rankings, you’ll appear higher on the results pages for both desktops and mobile devices. With the prevalence of mobile phone usage, you absolutely want to be discovered by local customers. It’s as simple as telling a customer who you are, where you’re located, and how you can be reached to increase web traffic and gain new customers. “I see actual location as the overriding single most important factor. If you search on a basis wherein you describe a specific location, i.e. a city/service, you will get one set of pack results with the small and medium sized businesses in that city. How does this impact a local business? Not only are you improving your SEO performance by having your NAP consistent across your local citations, but it also provides consumers the information they need right as they are making a search. 78% of mobile searches result in off-line purchases, so lacking consistency in your NAP can greatly hurt your business. Remember, it’s very easy for a searcher to choose your competition if you can’t provide them with the information they need. Why is it critical to get your info listed in Google My Business? 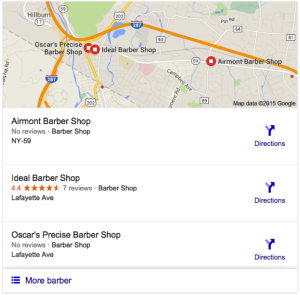 Getting your business listed on Google My Business is imperative for local search. A Google My Business page is not only free to use but will also help potential customers find your business across search, Google +, and Google Maps. 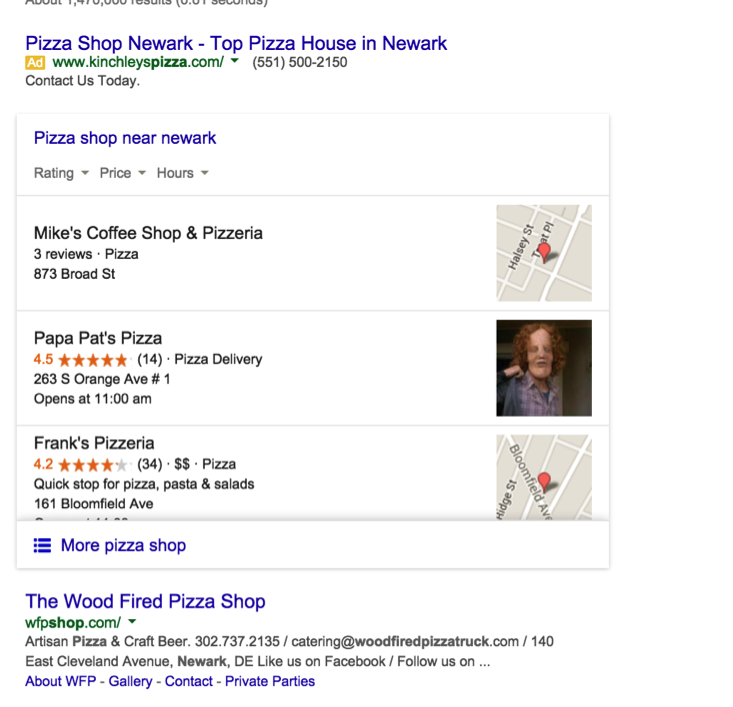 When someone searches for “pizza shop Newark,” the search engines results pages, or SERP, will take you to a page of pizza shops in Newark. It is your Google My Business page that will place your business here. This is why it is essential to make sure your business information is set up properly and is optimized. By having a Google My Business page, you’re not only putting yourself right in front of the eyes of potential customers in your area, but you’re also allowing customers to leave reviews. With positive, genuine reviews, users will be more apt to looking up your business (and possibly making a purchase) over competitors’ businesses. When setting up your Google My Business page, you need to first enter your business’ name and make sure it is listed exactly as it is on your website. This allows Google to see that you are in fact the same business, and you are credible. You’ll need to add your website’s logo, your website’s URL, a description of your business (using the most vital keywords), and the hours of your business. What better way to showcase your brand than through a mobile search? By posting images of your company and a good cover photo, consumers are going to want to find out more about you. You want to look reputable to your customers and build your reputation. By having access to reviews right at their fingertips, consumers are going to want to choose you. 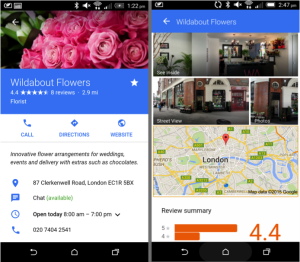 With a Google My Business page, you can interact with customers right as they are writing reviews. You can maintain your online reputation in ultimate brand representation. To be ranked highly, you need to make sure you are outlining your business in the most accurate and trustworthy light. You should also make sure your business’ description is as detailed as possible. You also need to have some reviews listed, or else customers won’t choose you over a competitor. Your Google My Business page needs to give customers all the information they need. With the wrong hours of operations listed, you’re losing customers. Without a phone number to contact your business, you’re losing customers. Without a map listed, you’re also losing customers. In fact, more than 50% of people on mobile will specifically look for opening hours, directions and an address. There are a number of properties that Google crawls, indexes, and associates with businesses as entities. One type of property Google will associate with your business is any social profiles you have on the web. There’s a range of sites that businesses can have profiles on, anything from Facebook, to Youtube, to even sites like Tumblr or Quora. You give search crawlers more mentions of your business name and information across a variety of domains to verify your brand’s credibility. In addition to having social profiles, Google will qualify your online credibility with any directory listings your business has. Business directories can be very general and non-industry specific (think Yelp, Google +, Yellow Pages), but they can also get very niche-specific and local. Finding the time to get your business into all of the niche and localized directories that are relevant to your business can boost your trust to Google and get you a serious leg up on your competition. Even at the macro level, all videos, pictures, or even mentions of your business online can be tagged to allow Google to associate these citations with your company’s brand. If you are in any sort of visually-appealing line of work, start a YouTube page, or get a Flickr account and put out content that Google can associate with your business so you can gain the search engine’s trust. Again, the best way to attack all of these entities for being recognized by search engines comes down to one strategy: consistency. The more consistent all of your online profiles, directories, and citations are, the easier it is for search engines to crawl your business information and find you are a trustworthy brand. Trust and credibility are still at the top of the ranking factors Google considers in its algorithm. Knowing this fact is one thing, but actually going out and building this trust is another. Even after doing all of this, your work will not necessarily be impactful. It’s not enough to create citations and have an accurate NAP. Most business owners don’t know how to make the above really work for them, whether they’re trying to optimize all on their own or they’re outsourcing to the wrong company. Every step is crucial in building up your search engine rankings, from keyword research to citation promotion. Most local SEO consultants don’t understand the advanced and technical SEO practices to create the strongest value for their clients. For local search, you must integrate technical and advanced SEO into local search and receive high-quality backlinks from credible sources. Because of the level of competition, you almost have no choice but to get as technical as possible. This should be done via citation promotion. So, how do you differentiate your local business from your competitors? The goal is to provide a service that is locally-focused while using the strongest proven online citation strategies. Helping businesses have a long-lasting presence in the search engines results pages takes both time and focus. SEO can become very technical, but it doesn’t have to appear complicated or intimidating for business owners. It’s a part of your marketing strategy, and just like most marketing, you will get out of it what you put into it. You should be able to understand your business’ SEO and see how it can increase your bottom line. That’s where finding the right local SEO service becomes so vital. Don’t believe in quick fixes; believe in building relationships. The best SEO services maintain a strong bond with clients while detailing out exactly what is being provided. You should expect consistent progress reports to easily track and understand what results are coming from the citations that are being made and managed. In a growing and ever-changing industry, maintaining a strong rapport with clients is more than mandatory. Outlining to clients what exactly your services are and what you can do to help their business thrive has become necessary for building a rapport. Greg Gifford of DealerOn provided that quote as a part of BrightLocal’s recent expert survey about local search citations, and it makes a great point. The key to an effective citation building campaign is understanding all of the core concepts of the process, and then finding strategic ways to maximize the efforts of the campaign going forward. The process of citation creation is a tedious one, but can reap massive rewards for a company in a local market. They are one of the best ways to signal to search engines that a website is relevant to a specific location, and service industry or need. Local citations are just mentions of your business and website across local directories and websites. The strongest citations you create will be more specialized, with a more focused target audience, therefore tending to be more effective. It is vital to ensure that all the citations your business may have are maintained and relevant. As the search engines consistently update their algorithms in order to sweep for more accurate and accessible data, any citations that your site may contain are subject to become outdated. Tracking any business categories that relate specifically to any services that you provide. Verifying that the business information is presented in the proper order and all of your relevant information is accurate. Maintaining a listing of all URL’s and log-in information. Making sure that business owners are the registered owner and editor of each site listing. Establishing a consistent version of that NAP combination to use on each and every listing site. Paying extra attention to enhancing local listings for heavily trafficked sites like Google, Yelp, Foursquare etc. This includes uploading attractive photos of your business and ensuring that opening hours are complete and accurate. Just like citations in business directories and listings, your business’ social profiles can be a highly effective source of citation flow for your visibility. Capitalizing on all major and niche specific social platforms, we’ll ensure that you have well-equipped social profiles to be found consistently by search engines, and easily by your audience. A strong social presence on the web is crucial to creating trust and relationships with your consumers, and the citations that come from well-built profiles will allow search engines to verify your business’ credibility and authority. 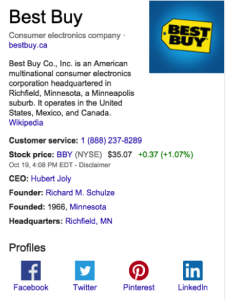 For larger brands (Best Buy, for example), search engines have already begun including result boxes with social profiles directly on the result pages. With proper promotion of these citations, your efforts will reap the highest quality links to boost your business’ credibility. We build links to your citations to increase their authority, and in turn the authority of your business website. This web of links is the key to organic search growth. There are plenty of services that offer free reports that are rich with information on where your weaknesses are and which are most important. A few of the good ones I have seen are Local Site Submit and Visibility Conversions. 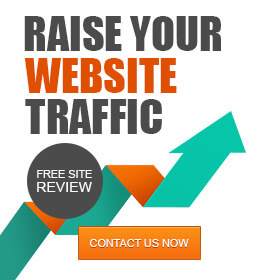 Local Marketing Solutions offers a completely free, “baseline visibility” report which you can generate here. The “visibility score” shows where you stand compared to your competition, in addition to listing all the citations that you and your competitors have, plus the citation sites that you are not currently taking advantage of. 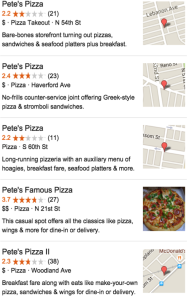 Local search is constantly evolving and improving as Google updates its algorithms. If you can find a way to rank highly on local search, you can be one step ahead of your competition and be set up for a strong online presence. By building out your citations, having a consistent NAP, and being present on Google My Businesses, you are well on the way to success with local search. Finding a trusted advisor in this landscape is paramount, and understanding the process allows for local growth and this trusted relationship. Learn where you stand with local SEO presence! Contact SEOnick for a website analysis! This post was co-authored by Maura Lieberman and Luke Harsel. Maura Lieberman is a content specialist at Local Marketing Solutions. She enjoys writing, cooking, and watching (way too much) Mad Men. You can follow her on twitter @maura_lieberman. Luke is a local search specialist at Local Marketing Solutions. When he's not on the internet, he likes to ride his bike or play musical instruments, but not always at the same time.